Removing carpet glue from concrete can be done several ways. The best and safest way to remove glue from concrete is with a soy based, biodegradable, adhesive or mastic remover. 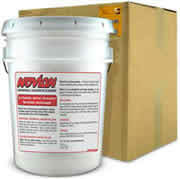 RadonSeal makes a powerful, biodegradable, mastic remover for concrete called NOVION UNIVERSAL CONCRETE CLEANER. This product cleans up with soap and water which means you can take the waste to the local landfill. After pulling up the carpet, the first step is to remove as much glue from the concrete as you can with a floor scraper. Scrape the entire floor, then sweep or vacuum up the loose glue. The more excess glue you get off the floor before using a glue remover for concrete, the better the glue remover will work. The next step is to wet the glue with the adhesive remover either with a mop or sprayer. Let the adhesive remover soak and penetrate the glue for 10 - 20 minutes until the glue is saturated. Don't let it dry out, sometimes laying plastic over it while it sits will help keep it from drying out. Then scrape or squeegee the bulk of the softened or liquified glue from the surface of the floor. Depending on how thick the glue was, you may have to do this process twice to remove all the carpet glue from the concrete. After removing all the glue from the concrete you can wash and rinse the floor with soap and water. It usually takes a couple times to make sure all the residue is gone. RadonSeal also sells a very good paint stripper that works excellent on carpet glue and other mastics. It's called Lightning Strip and it easily removes water- or oil-based adhesives, as well as the thick, tar-like mastic under old asbestos or vinyl tiles. If you have a heat gun you can also try this. Pour some boiling water on the carpet glue, let it sit for 10 - 20 minutes, apply the heat gun for a couple of minutes and scrape the glue to remove it from the concrete. Sometimes this will work and may save you from buying an adhesive remover. Another method worth trying is to apply dry ice to the glue, let it sit for a few minutes and freeze the glue. 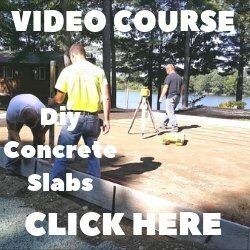 The glue will become brittle and you can scrape the glue off the concrete. If you plan to use a concrete stain or some other kind of concrete floor coating it's very important to remove all the glue from the concrete or the stain or paint will not adhere to the concrete. 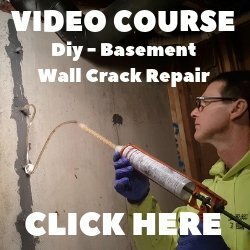 Knowing how to remove carpet glue from concrete and using the right products should make your job easier and get it done much faster.